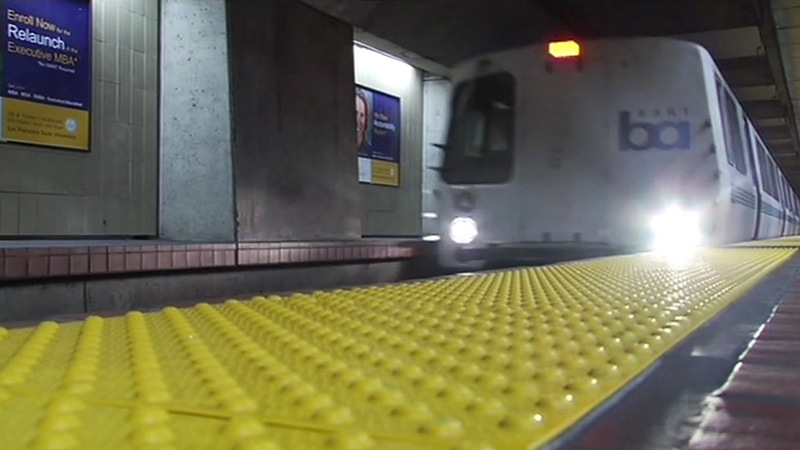 HAYWARD, Calif. (KGO) -- The Hayward BART station has reopened after a brief closure this morning, following the discovery of a person underneath a train. Currently trains in both directions are experiencing a 10-minute delay and are using a single track, while the northbound track remains closed as police continue to investigate the incident, according to Lt. Paul Kwon. At around 9:30 a.m., BART police received a report of a person underneath a train near the Hayward BART station, Kwon said. The person was taken to a hospital and Kwon did not know the condition of the victim. Around 9:45 a.m., BART officials closed the station, resulting in a major delay on the Fremont line.